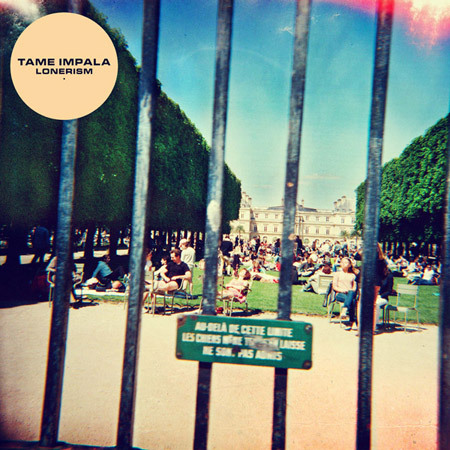 What, exactly, is Tame Impala trying to rise above? Well, to borrow from Brando in “The Wild One”: “Whaddaya got?" Don’t let a skepticism of psychedelic mysticism or a wariness of a genre so consistently if not entirely fairly associated with the halcyon Sixties scare you off, however. For all the historic touchstones, starting with Parker’s vocal commonalities with “Strawberry Fields Forever” John Lennon and ending with Dave “Flaming Lips/Mercury Rev” Fridmann’s delightfully The Piper at the Gates of Dawn approach to mixing what Parker recorded at home and on the road, the band succeeds (as all of the best in this genre do) because it never neglects the second half of the psychedelic-rock equation: delivering memorable, hard-driving songs that worm their way into your consciousness and more than stand on their own without the trippy filigree of the arrangements, instrumentation and production. “I surrendered to temptation and desire to make an album that is really f---ed up,” Parker has said of the new disc. “But I also have a desire to sound like Britney Spears. I love pop music and bad plastics.” He’s also mentioned that he’s written an album’s worth of songs that are ready and waiting for Kylie Minogue. Hearing the appeal of any such pop diva in these 13 tracks is pretty difficult; on the other hand, just try to get the central hooks of songs such as “Feels Like We Only Go Backwards,” “Apocalypse Dreams,” “Why Won’t They Talk to Me” or “Music to Walk Home By” out of your head after the first listen.